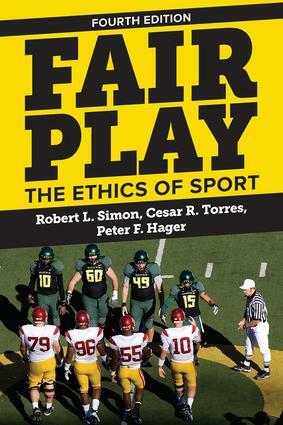 Addressing both collegiate and professional sports, the updated edition of Fair Play: The Ethics of Sport explores the ethical presuppositions of competitive athletics and their connection both to ethical theory and to concrete moral dilemmas that arise in actual athletic competition. This fourth edition has been updated with new examples, including a discussion of Spygate by the New England Patriots and recent discoveries on the use of performance enhancing drugs by top athletes. Two additional authors, Cesar R. Torres and Peter F. Hager, bring to this edition a discussion of the moral issues involved in youth sports and the ethics of being a fan, as well as a fresh perspective on the theories of broad internalism and the quest for excellence. Furthermore, major criticisms of broad internalism by philosophers William J. Morgan and Scott Kretchmar add a new dimension to the discussion on the moral foundations of winning.